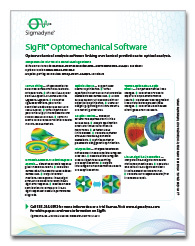 SigFit’s line-of-sight error capability predicts the line-of-sight error of an optical system due to static or dynamic disturbances. 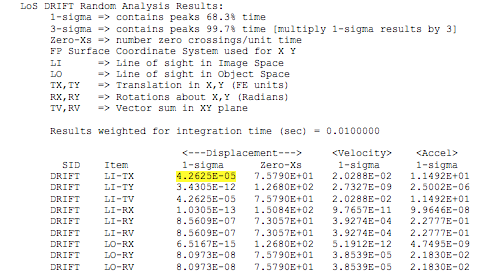 The user specifies a starting ray with which SigFit calculates line-of-sight sensitivities for the rigid body motions of all optical surfaces in the system including an image plane. Line-of-sight error quantities are computed in image space and object space using linear superposition of the computed sensitivities. Analysis may be applied to static disturbances or vibrational disturbances. 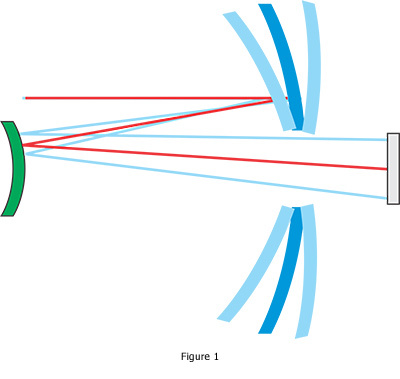 Figure 1 – Static or dynamic motions of optical surfaces causes system level line-of-sight errors. 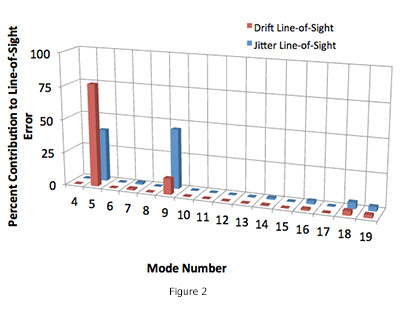 SigFit can decompose line-of-sight error into drift and jitter components if an integration time is specified. The drift component of line-of-sight error results in a position error in the image while the jitter component results in a degredation in image quality. 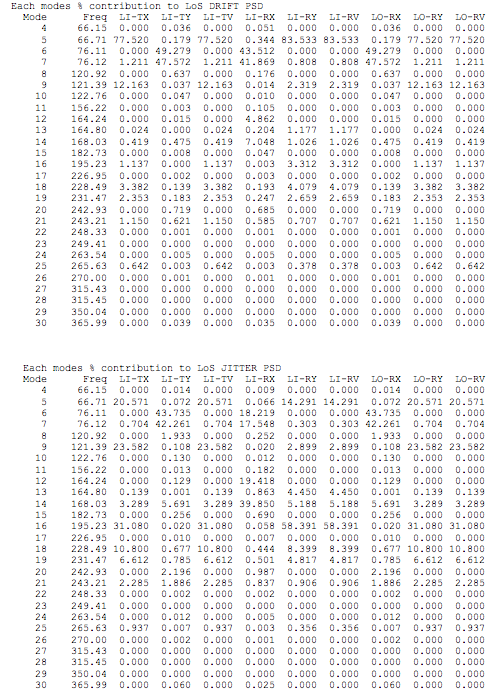 SigFit also computes the percent modal contributions to the line-of-sight error PSD predictions as shown in Table . This allows the user to identify which modes to consider when contemplating performance enhancing design changes. SigFit can compute the change in optical modulation transfer function (MTF) due to the jitter component of line-of-sight error. 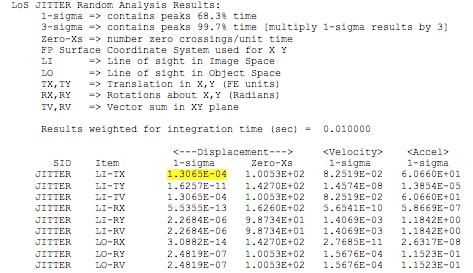 The line-of-sight sensitivities may also be used in SigFit’s design optimization support feature to generate equations of line-of-sight error using multipoint constraint equations. These equations may be formatted for use in MSC Nastran, NX Nastran, NEi Nastran, and ANSYS Mechanical APDL to predict line-of-sight error within a finite element analysis. This capability is especially useful in design optimization allowing users to minimize or constrain the line-of-sight error during an optimization analysis. 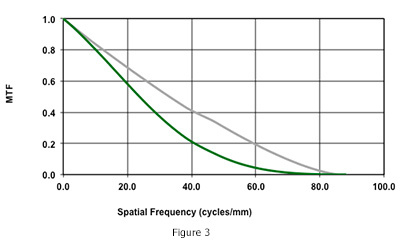 For example, if a design is already meeting a line-of-sight performance requirement, then the line-of-sight error could be constrained while the weight is minimized. If the line-of-sight performance prediction is not meeting the requirement , then the line-of-sight error could be minimized as the objective in order to find a design that meets the requirement.